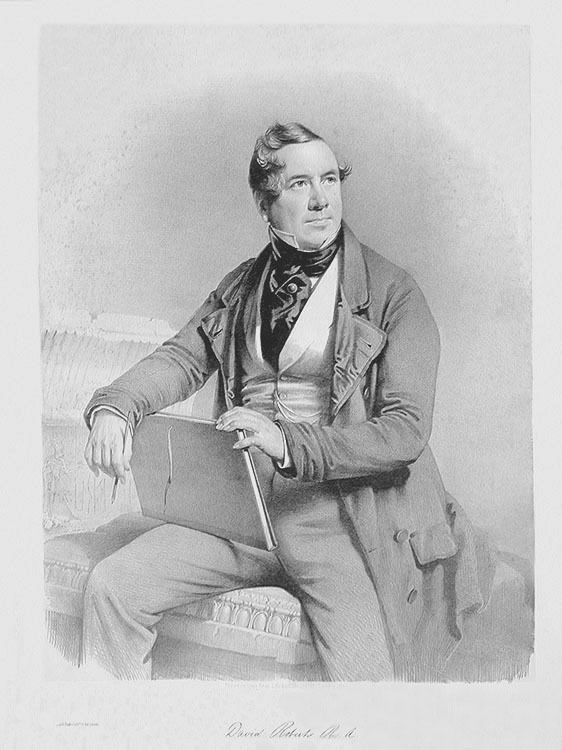 Comments: Though probably somewhat idealized as compared to known photos of Roberts, this portrait is particularly interesting as it was drawn directly on the lithographic stone from life by C. Baugniet in 1844. Price: $75, including archival cleaning. Title: Portrait of David Roberts.